Qatar Airways stole the limelight on the opening day of ITB Berlin, the world's largest international travel and tourism trade show, as the airline's Group Chief Executive, His Excellency Mr. Akbar Al Baker, revealed the airline's new Economy Class experience and announced seven upcoming additions to its rapidly-growing global network. During a press conference held at Japan Airlines Headquarters on Friday afternoon, T.B.L. Co., Ltd. Representative Director and President, Shingo Nishida, announced the name of Japan`s first medium to long-haul low cost carrier as ZIPAIR. 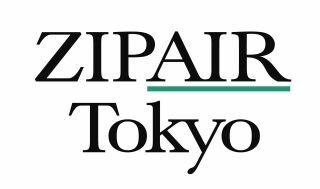 With the registration now official, the company will be established as ZIPAIR Tokyo Co., Ltd., as of March 8, 2019. As previously announced, the new carrier will prepare for launch during the summer schedule of 2020. AirAsia, one of the world's most successful budget airlines, has launched a venture capital fund that will focus on early-stage businesses, the company said Monday. JetBlue Airways Corp. pumped up speculation that it will announce plans to order long-range aircraft and start trans-Atlantic flights, inviting employees to a special event next month. EaseMyTrip, one of the India's leading online travel aggregators has joined hands with VariFlight, a leading aviation data provider, to provide real-time flight information on both EaseMyTrip website and its mobile app. 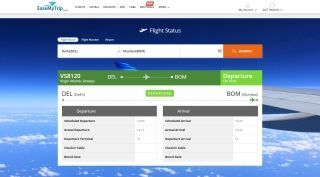 With this, EaseMyTrip customers will be able to track a flight while they are on the move i.e. 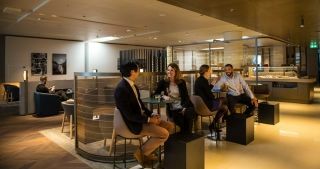 real-time positional tracking of flights would be available to the customers. Southwest Airlines Co. plans to challenge Hawaiian Airlines for control of Hawaii's island-hopping market shortly after beginning flights to the state from the mainland. Airbus SE is looking at assembling its newest A330neo wide-body jet in China as part of a bid to win orders for the plane in one of the world's fastest-growing aviation markets, according to people with knowledge of the matter. Southwest Airlines Co. abruptly jumped the most in a month amid speculation on social media that Warren Buffett's Berkshire Hathaway Inc. was considering a takeover bid. The carrier declined to comment. Jet Airways' founder Naresh Goyal has agreed to step down as chairman of the airline's board, two sources with direct knowledge of the matter told Reuters on Thursday, as the cash-strapped Indian carrier struggles to finalize a rescue deal.